Why Does Insomnia Happen to You? 10 percent of people have a chronic insomnia disorder, while another 30-35 percent have insomnia sometimes. This is not simply a sleeping problem, but one that causes health problems all over the body. When your body doesn’t receive the rest it needs each night, you can experience chronic fatigue, mood disorders, poor memory and focus, weight problems and more. Sleeping medications can cause harmful side-effects, which is why you want to treat the reason you’re body’s having insomnia. You can do that with our help! What Are Common Causes of Insomnia? There are an array of different causes of insomnia. Some are medically based, some are lifestyle based and some stem from medications or biological factors. Scientists also blame disruptions in your brain’s sleep and wake cycle for insomnia: “Researchers have begun to think about insomnia as a problem of your brain being unable to stop being awake (your brain has a sleep cycle and a wake cycle—when one is turned on the other is turned off—insomnia can be a problem with either part of this cycle: too much wake drive or too little sleep drive), writes the National Sleep Foundation. Some medical conditions require strong medications that have insomnia as a side effect. If you are taking any medications for something even as simple as the common cold or allergies, to something more complex like heart disease or thyroid disease, your insomnia may be a result of these drugs in your system. Birth control pills can also cause insomnia. Discuss with your doctor any insomnia symptoms you are experiencing and see if you can change medications to resolve your insomnia symptoms. Do you suffer from sleep apnea or restless leg syndrome? Both conditions have been linked to insomnia and require professional treatment and diagnosis. Sleep apnea is a common sleep disorder characterized by pauses in sleep. Apnea literally translates as “cessation of breathing”. These pauses may last anywhere from 10 seconds to longer. During this pause the body may not get enough oxygen, leading to a potential multitude of long-term health problems. People with sleep apnea sometimes report bouts of insomnia. Many of us are guilty of simple behaviors that can have drastic effects on the quality of our sleep. Cell phones, tablets and other bright-screen devices are often brought to bed with us, but the light can stimulate us, prohibiting proper relaxation for deep sleep. Pets, in-room television sets, eating before bed, exercising before sleep can all hinder your sleep quality. How is your stress level? Higher levels of cortisol are also often to blame for not being able to get adequate zzz’s. 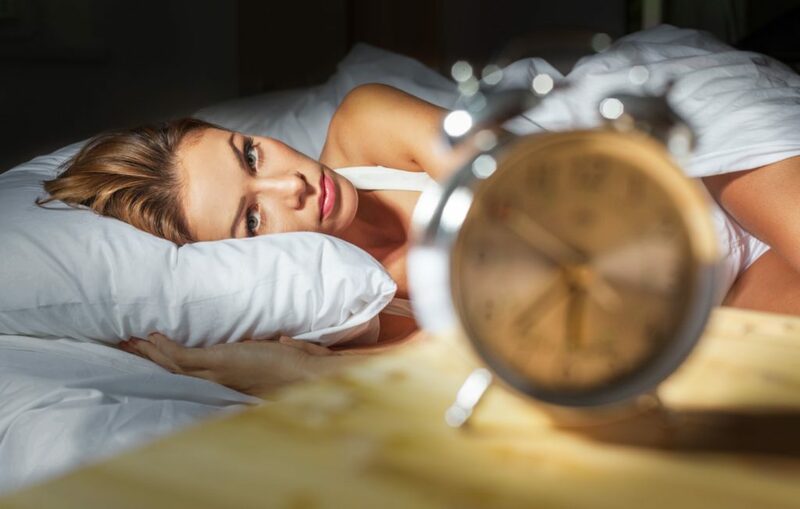 If you have eliminated all these factors, and are still experiencing insomnia symptoms, it’s time to recruit help from a professional consultation and exam. Sleep is a vital part for maintaining optimum health and wellness. Sleep protects mental, physical and emotional health in children and teens, and is crucial for proper growth and development. Sleep reduces healing time for injuries and ailments, while not getting sufficient amounts puts you at higher risk for chronic health problems and illnesses. Sleep deficiency has been shown to cause above-average blood sugar levels, increasing the risk of prediabetes and diabetes, according to the U.S. Department of Health & Human Services. During rest your body rebuilds muscle mass and repairs cells and tissues. Your hormones will also regulate better encouraging a more healthy, properly-functioning body. Poor sleep doesn’t have to be a life sentence. Call for a consultation to get to the root cause of your insomnia. At Balanced Well-Being Healthcare we help you develop personal risk assessments and treatment plans that can restore your good health. Schedule an adult health screening today and protect yourself from the effects of not getting enough sleep. Call us at 970-631-8286 today!